The trailers for Disney’s live action adaptation of Beauty And The Beast have hewed closely to the animated film, but the remake will apparently offer something both new and quite possibly revelatory. Director Bill Condon explained in a new interview with British magazine Attitude that it will tackle LGBT themes in historic fashion for the studio. 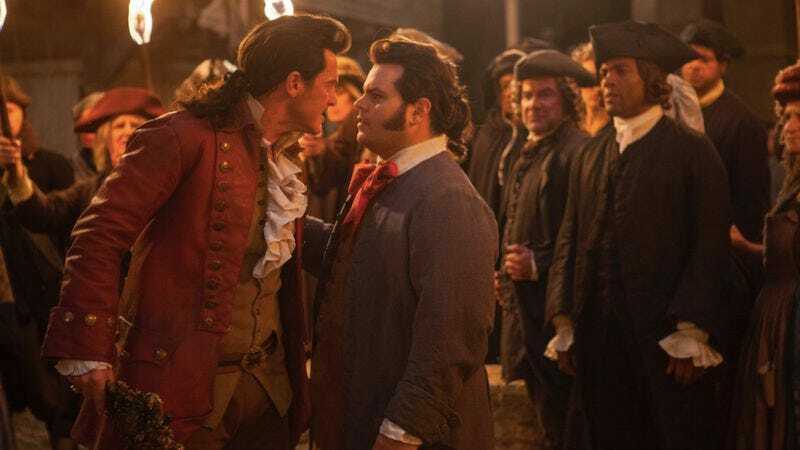 Condon revealed an “exclusively gay moment” will center around LeFou, Gaston’s adoring sidekick played here by Josh Gad. “LeFou is somebody who on one day wants to be Gaston and on another day wants to kiss Gaston,” Condon said. “He’s confused about what he wants. It’s somebody who’s just realizing that he has these feelings. And Josh makes something really subtle and delicious out of it. And that’s what has its payoff at the end, which I don’t want to give away. But it is a nice, exclusively gay moment in a Disney movie.” It appears that Condon is taking the subtext in LeFou and Gaston’s relationship, and addressing it head on. There’s a lot of gay talent involved in the project including Condon and stars Luke Evans and Ian McKellen, who play Gaston and Cogsworth, respectively. And, as Attitude notes, the original was shaped by a gay man: Lyricist Howard Ashman, who died of AIDS before it ever hit theaters.